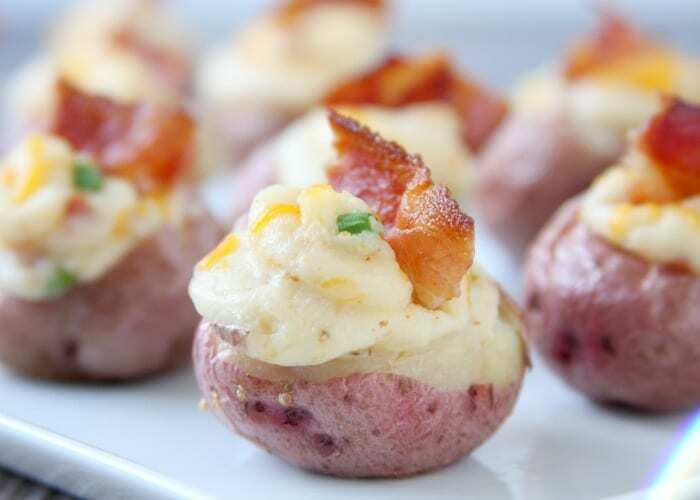 Twice Baked Potato Bites are a fun spin on an old classic. 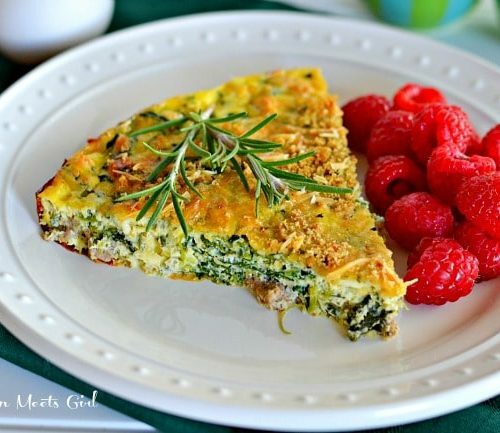 They make a delicious appetizer and are sure to impress your friends! 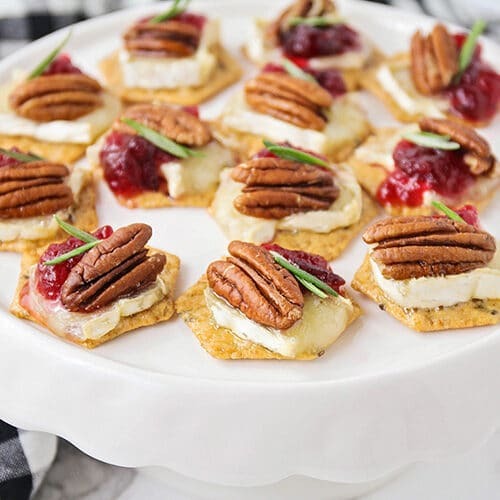 Ready for an easy appetizer that is sure to please a crowd? 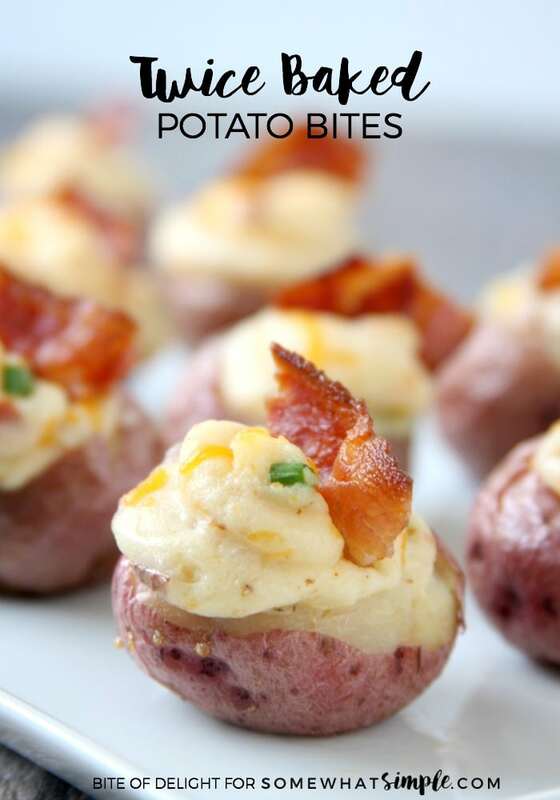 These twice baked potato bites are exactly what your next party needs! 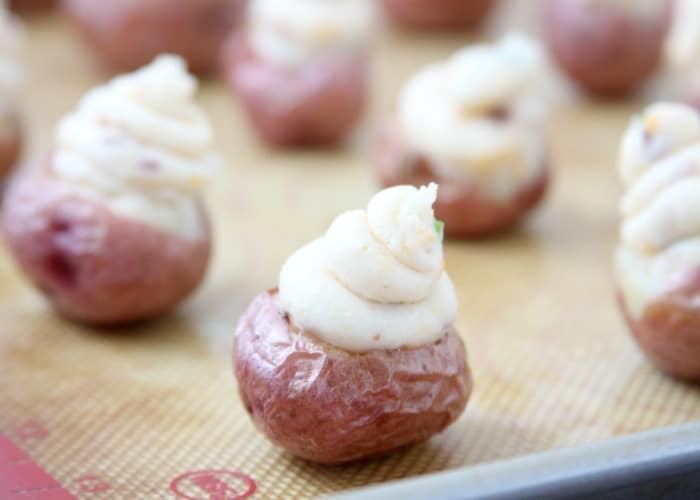 For this recipe, you’ll want to use baby red potatoes (sometimes called red creamer potatoes) instead of regular red potatoes…you want them small and bite-sized! 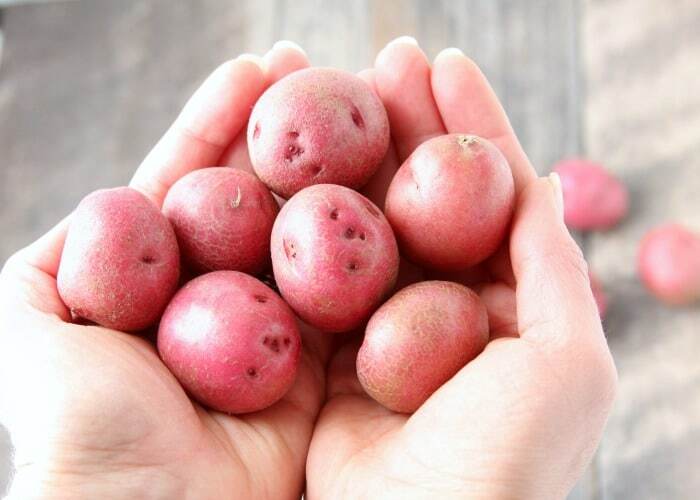 Look for potatoes that are about 1½” in diameter. 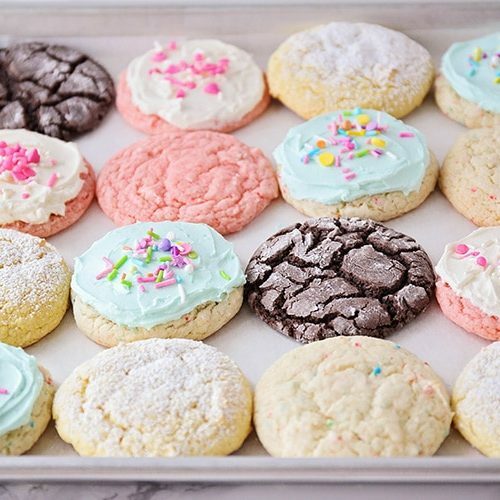 Any bigger and they’re not so bite-sized, but any smaller and they’re hard to scoop out. I use the smaller end of my melon baller to scoop the flesh out of the potatoes. It’s just the right size and makes quick work of it! 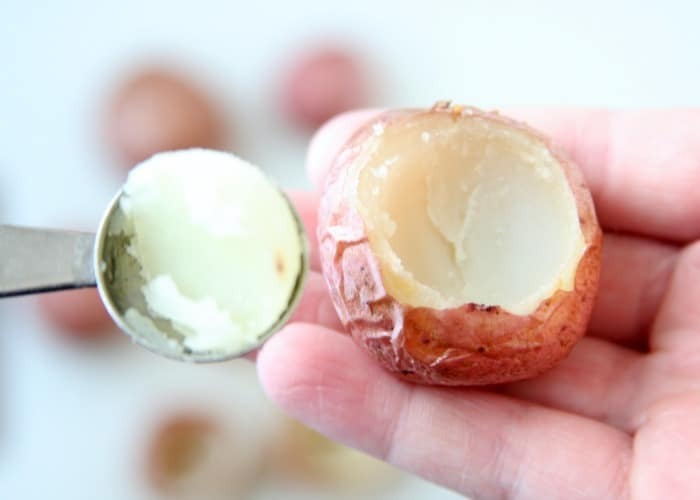 Leave a shell inside the skin so the potato can still hold its shape. I think it’s easiest to fill the potato shells by scooping the prepared mashed potatoes into a quart-size zip top bag, snipping the corner, and squeezing it out. Plus it looks pretty! Gently scrub the potatoes and dry them. Prick each potato two or three times with a fork (to let steam escape as they cook). Toss the potatoes in oil and place on a baking sheet. 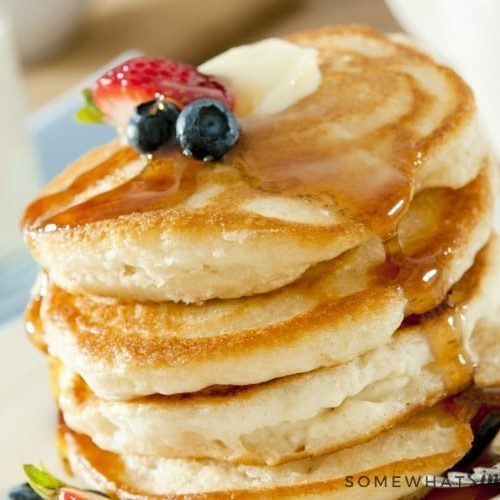 Bake for 30 minutes, or until tender when pierced with a fork. Cool slightly. 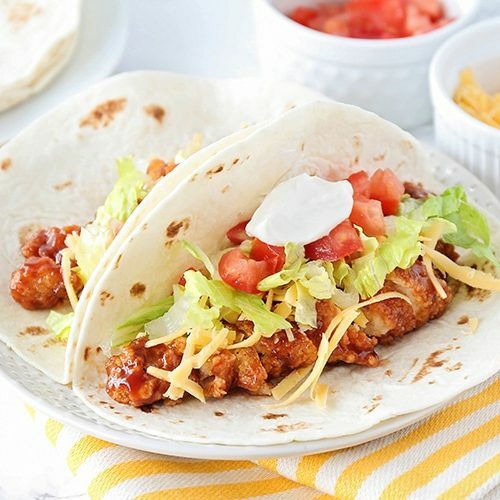 Add the butter, sour cream, cream cheese, crumbled bacon, 2 Tbsp shredded cheese, milk and seasoned salt to a mixing bowl. Using a sharp pairing knife, slice the top off of each potato and using a melon baller or small spoon, scoop out most of the potato and add it to the mixing bowl. 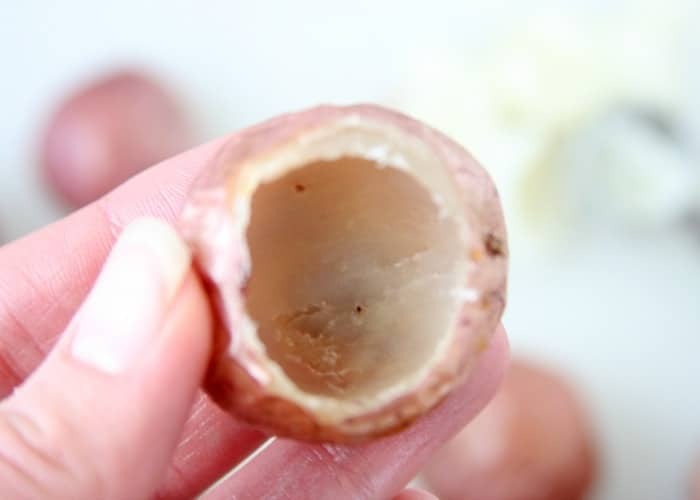 Leave about ¼” of potato inside the skin to form a shell. This will keep the form of the potato. 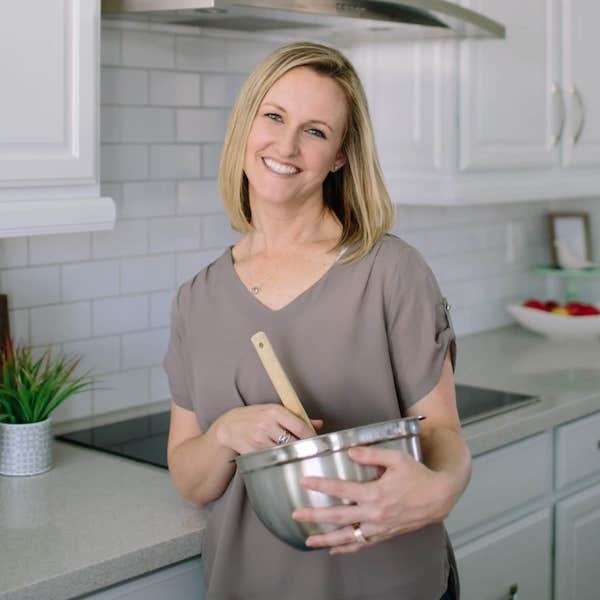 Using an electric hand mixer or potato masher, combine all ingredients in the mixing bowl. When the mixture is smooth, stir in the sliced green onions. 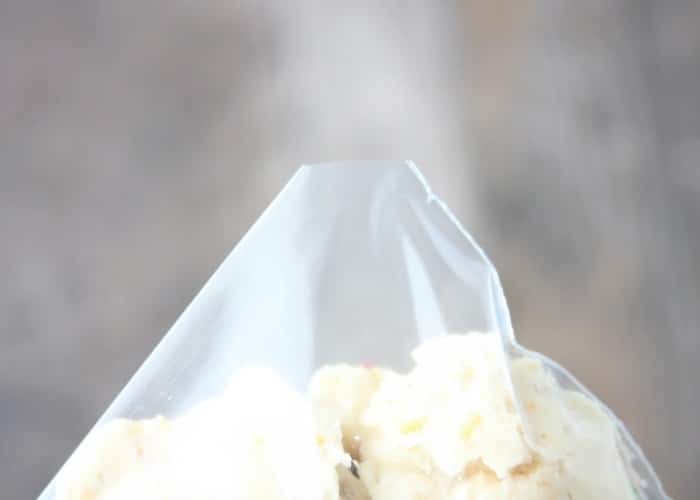 Turn down the top of a quart-sized zip top plastic bag, and fill with the mashed potatoes. Snip one of the corners and squeeze the mashed potatoes into the scooped out shells. Sprinkle with the remaining 2 Tbsp cheese and place in oven for 10 minutes to warm the potatoes throughout. Place a bacon piece on each Twice Baked Potato Bite and serve! 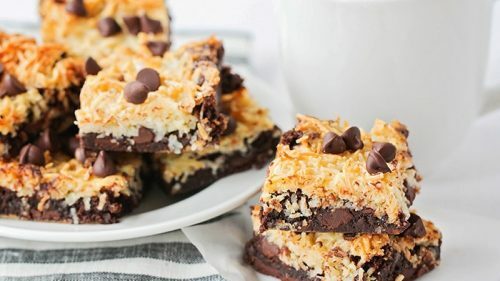 I always use whole milk and full fat cream cheese & sour cream. 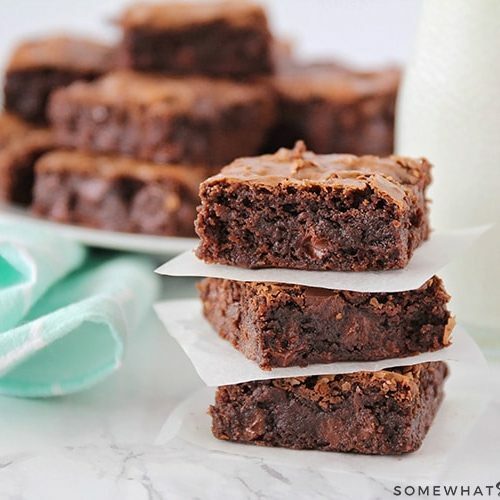 This recipe has not been tested with reduced fat products, but they should work fine. 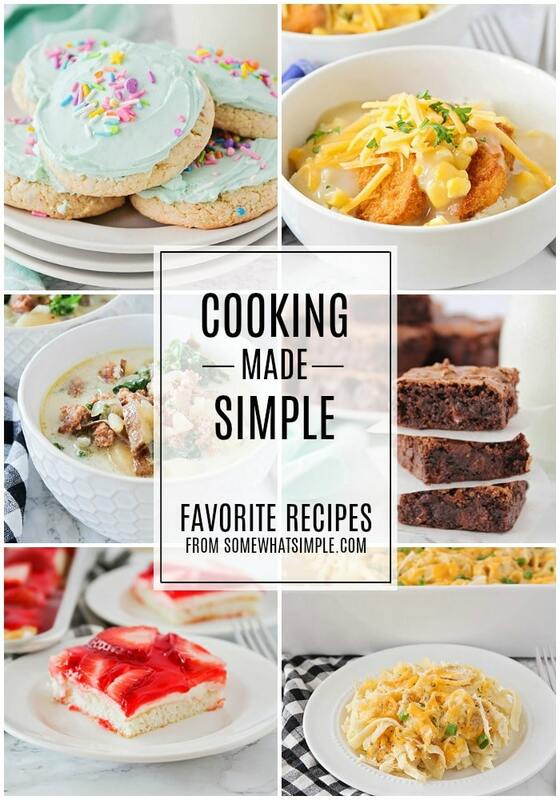 For more delicious bite-sized recipes, don’t miss these favorites!